It was a perfect 10 for Cody Garbrandt in UFC 202 prelim action at T-Mobile Arena in Las Vegas on Saturday, as “No Love” earned his 10th pro victory in devastating fashion, halting longtime bantamweight contender Takeya Mizugaki in less than a minute. 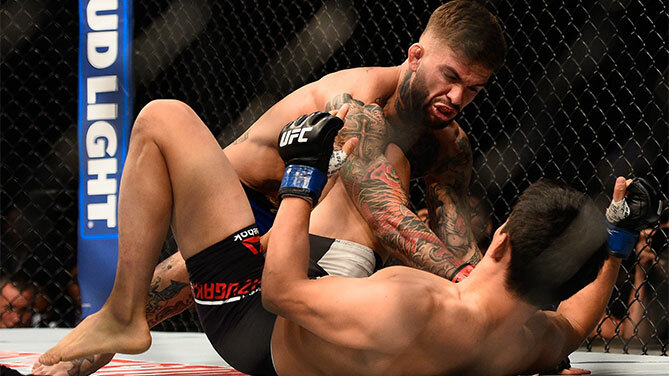 Garbrandt was firing strikes with bad intentions as soon as the bout began, and soon enough, he hit paydirt, with a flush right hand putting Mizugaki on the deck. The Kanagawa native attempted to get up, but he was sent right back down, and a follow-up barrage of strikes ended the fight, with referee John McCarthy officially calling it off at the 48-second mark. With the win, the No. 8-ranked Garbrandt moves to 10-0; the No. 11-ranked Mizugaki falls to 21-10-2. No. 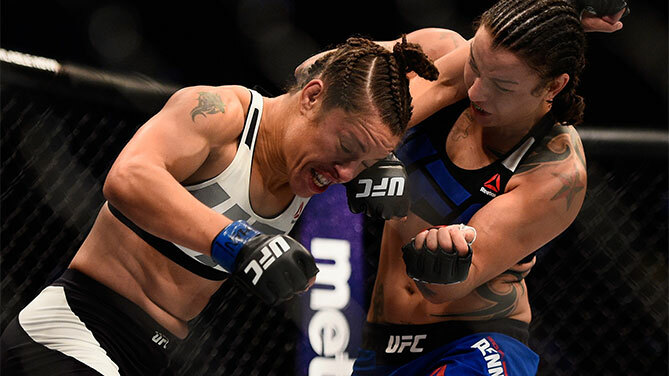 8-ranked bantamweight contender Raquel Pennington won her third straight, taking a three-round unanimous decision victory over Elizabeth Phillips. Scores were 30-27 across the board for Colorado Springs’ Pennington, now 8-6; Phillips falls to 5-4. The first round was a grueling one, with several clinch sessions producing a stalemate. When not locked up, both had their moments, but not enough for either fighter to pull ahead decisively. A takedown by Phillips early in round two almost saw Pennington sink in a guillotine choke, but the Spokane product was able to fight free and go back to work. The clinch battles continued throughout the rest of the round, and while they remained close, a Pennington slam in the final minute may have started to break things open, and it was “Rocky” in control in round three, as she got Phillips to the mat and sought a few submission attempts until Phillips got loose in the final minute, which wasn’t enough time for her to turn things around. 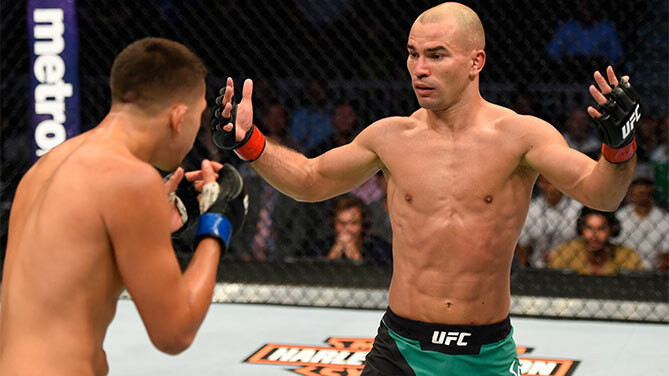 SBG Ireland featherweight Artem Lobov earned his first UFC victory and it couldn’t have come on a better night, as he defeated Chris Avila via unanimous decision in a bout pitting teammates of headliners Conor McGregor and Nate Diaz against each other. Lobov had a dominant first round, feeding Avila a steady diet of kicks to the left leg as he stalked the Stockton product around the Octagon for five minutes. Avila got a little busier in round two, but was largely ineffective outside of the occasional stiff jab, and by the second half of the frame, it was Lobov pressing the action once more as he battered the lead leg of Avila and began taunting the newcomer. An accidental clash of heads produced a cut on the forehead of Lobov early in the final frame, but that was about the only drama in the fight at this point, as “The Russian Hammer” continued to control the action while Avila had no answers to deliver back. With the win, Lobov moves to 13-12-1 with 1 NC; Avila falls to 5-3. 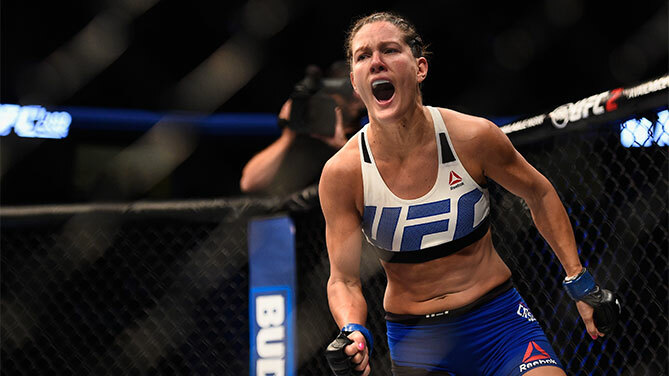 After a rough 0-2 start to her UFC career, Cortney Casey has now won two straight via first-round finish, submitting No. 13-ranked strawweight Randa Markos in their UFC 202 prelim bout. The fight was a wild one filled with solid technique and transitions, Markos initially taking control with a throw to the mat and control there, where she fired off a series of punches to the head. Casey calmly weathered the storm and worked her way out of trouble, eventually taking the dominant position. Markos seemed to have gotten back on track when she battled into Casey’s guard, but there, “Cast Iron” locked up the Canadian’s arm and forced a verbal tap at 4:34 of the first stanza due to that armbar. With the win, Maui’s Casey improves to 6-3; Windsor’s Markos falls to 6-5.